We have a wide team of lawyers and financial advisors that may assist you in all the issues related to your new property and the residence visa for yourself and your family members. We are able to assist you in the following languages: English, Spanish, Catalan, Italian, Portuguese, German and Chinese. Professional advice on the purchase of real estate assets. Advice on investment in Spanish companies. Advice on the different kind of residence permits in Spain (for work; non lucrative; studies; research; training and non-working practices; and those ruled within the “Enterpreneurs Act”. Getting residence certificates for EU citizens. Obtaining and getting the extension of the ANIDO for foreigners that due to their interests in Spain are requested to have it. The Spanish Act 14/2013, in force since 29th September 2013, offers an attractive program of visa residence for foreign investors in Spain. The holders of Spanish residence visa are granted the freedom of movement inside the Schangen Area, the biggest free movement area in the world. 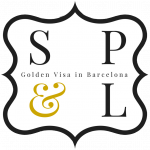 The Golden Visa initial duration is 1 year but it shall be extended up to 5 years if the investor visits Spain at least once a year. Then, depending on the personal circumstances, the visa holder may apply for the Spanish nationality. Advice on Spanish taxes applicable to individuals and companies non-resident in Spain, following the Spanish laws and the treaties to avoid double taxation. Coordination with the clients tax advisors located in their home or residence countries. Calculation of the tax impact and costs arising from the investments in Spain. Filling in and submitting the tax forms for the client (i.e., non-resident income tax; wealth tax; property tax; local tax for the increase on the value of the surface [plusvalía municipal]).  Assisting in review or inspection proceedings in front of the Spanish tax authorities. españolas. Tax advice to individuals who move their factual residence in Spain (living in Spain more than 183 days in a calendar year). Tax planning, advice and compliance on any kind of tax and dealing with tax inspections. Legal advice on the law applying to the inheritance. Coordi.nation with the lawyer/s in the foreign countries which are dealing with the succession. Obtention of a copy of the last will of the deceased person (provided that the last will has been registered in Spain). Drafting the document for the acceptance of the estate (to be signed, eventually, in front of a Notary Public). Preparing the documents for the heirs to be formally capable to receive the inheritance. Calculation, submitting and payment of the inheritance tax (several inheritance tax forms may be submitted if the deceased person had assets in more than one Spanish regions). To obtain the transfer of the ownership at the land registry. We also provide inheritance planning schemes, from a civil and tax scope. Spain Property & Law is born from the union of two prestigious firms in the real estate and the legal sector.